YES! I WANT YOU TO COACH ME FOR ONLY $5!! Why do so many artists STRUGGLE to grow their fanbase, monetize their music, have a positive mindset, and try NEW strategies that can help them become more successful? It's not because they are not talent or good people. In fact, they're a lot like you. They buy studio time and invest in their music. They are committed to their craft and know they deserve better things. Lack of consistent training and a courses to help them advance faster. Accountability and coaching so they get qualified perspective and real direction and feedback! ...they don't know what to do, don't get enough new strategies, and don't have a coach keeping them on track and accountable. You DEEPLY CARE About Reaching The Next Level Of Success With Your Music. You're the type of artist who really wants to earn more, write more, give more, and make your mark. You were born for this, with music running through your veins because you KNOW, deep down, you're supposed to have a life that isn't boring, and have songs that can change the world. ....sometimes you get STUCK, right? Well, I can help you with that by giving you more attention every single month. In fact, for JUST $5 RIGHT NOW, I want to get you in and give you the CONSISTENT training and coaching you need to advance your music career FASTER in every area. What if you had the same COACH that's worked with multiple GRAMMY AWARD WINNING Artists & Producers? "Christopher Greenwood is LIVING PROOF it’s possible to merge passion with work – and make money doing it." People get ahead because they have coaches and mentors who share new strategies with them and keep them accountable and motivated on the long path to success. That's what I want to do for you. Previously, I only did training for my $1,000 Inner Circle members. But this year, I decided I wanted to help more artists. So, today, you can subscribe and get me LIVE TWICE a MONTH. And you can "test me out" for $5 RIGHT NOW, deal? "Chris's coaching courses have done more for me then my record label ever did." "After working with Chris, we put together a marketing plan and I SOLD OUT of my music I had to order more merch." "Chris is a force to be reckoned with and If I had these courses 10 years ago my career would have been fast tracked." “Chris has achieved massive success selling albums, merchandise without a record label and I'd rather have that then platinum records on the wall where the label takes all your money." Doubled your fanbase, focus and confidence by working with me every month? Twice a month, I go LIVE for ARTISTS all over the world in my Fanbase University Monthly program. It's like a check-point for you every month and an ongoing bolt of energy. Experience breakthroughs and new tactical strategies that keep you at the top of your game. Because you and I both know a lot of people get inspired by one book, or one video, or one insight, then they lose the fire and MOMENTUM as they get back to real life. That's Why I'm Inviting You Into My LIVE Monthly Training. Twice a month, I spend a full HOUR with this group LIVE online. I teach my latest strategies, and then conduct coaching and Q&A. I also give out recognition prizes for people asking great questions and gaining huge progress. Our students report HUGE gains in their motivation, fanbase and confidence every month. But I Want To Do That For YOU! I mean, who else is keeping you fired up, focused, and driven to be your ABSOLUTE BEST!? 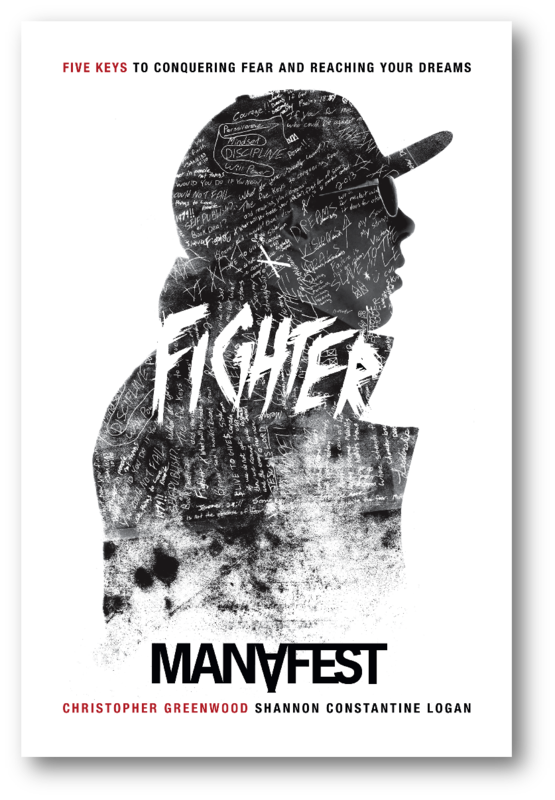 2 Live Monthly Broadcasts with Manafest! Because how many millionaire musicians give you two live coaching calls per month? "Hey, let me keep you motivated and on the right track every month. Let me give you the music marketing strategies and performance edge LIVE, twice a month, where you can ask me questions and get ahead 10x faster." Yes, just $5 RIGHT NOW! I've been blessed to achieve so many of my dreams. And I'm at the stage now where I just want to mentor other people. That's why I want you to join my LIVE mentoring program, called Fanbase University. Now, to be clear, you have to really care about your music career to do this. Fanbase University is usually $29.99 every month. So, yes, this $5 trial is sort of crazy. But I wanted to do something special for you. I want to invite you to try it out. For $5, You Can Get Into The Program For 30 DAYS. That gets you access to the last TWELVE MONTHS of training we did. Meaning, you can go watch the last 12 months of my music marketing training right now. You can stay for our next LIVE online training. And you can ask questions and participate and grow. Don't worry - if you can't make it to the LIVE training with me, you'll get the recordings in your member's area. All for just $5 trial the next 30 days. If you don't cancel, then we assume you're loving it, and we'll keep you and you will be automatically billed $29 per month just like every one of our committed students. So, this is a $5 trial for 30 days, then it goes to just $29 per month and you get me training you every month LIVE for TWO COACHING CALLS, plus you get the recordings. It's a huge deal. I mean, the reason hundreds of artists have signed up is because I've spent 18 years marketing my music, releasing and touring and now training more artists then anyone else. So, click the button below to begin your $5 trial. Confidence is a major issue for people. They struggle to stay strong when faced with uncertainty, judgement and stress. But there IS a set of psychological principles that can dramatically change your performance. Imagine how it would feel to KNOW that you'll be confident in every situation. When you click the button below, you'll get your $5 trial and this LIFE-CHANGING TRAINING "Crowd Funding Secrets". I also understand there are no refunds on $5 subscriptions. If you stay with us past the $5 trial, which is 30 days, then you'll pay the $29/mo like everyone else. And you can cancel anytime! But you know what is NOT easy? If you want that next level, you need the next level of mentor. I'd love to be one of those mentors for you. I've been blessed to mentor many of the world's great artists, who've sold hundreds of thousands of albums, and give and serve at levels I never imagined. Trust me with the $5, and I'll work hard to earn it times 1000x. Signup now and go watch one of the last 12 months of music business training and you'll realize this is worth so much more than the $5. The $5 is just sort of a symbol of your commitment. Click the button below and go watch $150 of music marketing training for $5 trial. You'll love it. Don't miss this opportunity - it's a one-time offer only. Let's do this and let's change your life, every month, together. But that I can cancel any time via the email at the bottom of this page. "A fighter isn't someone who never fails, a fighter is someone who never quits."